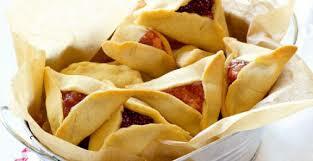 There are a million different flavours out there for Hamentashen! You can go old fashioned with prune or poppy seed, traditional with jam, or try some new modern twists! Below you’ll find a basic dough recipe, and then some new fillings to try this year! I hope you like them! Sift together the baking powder, flour, sugar and salt. Cut in the margarine. Add well beaten eggs and mix together to form a soft dough. 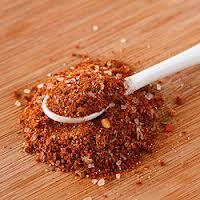 Roll out on a floured board to ¼” thickness. Cut with a large, round cookie cutter. Put a spoonful of desired filling in centre, and pinch together to form triangular pocket. Brush with an egg wash, put on a well-greased pan. Bake for 12 to 15 minutes at 400 degrees. Beat the egg in a bowl and set aside. 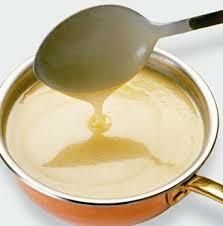 Melt the margarine in a small saucepan. Whisk in the coconut milk, sugar and honey and simmer over a low flame until the sugar is melted. Pour half the hot mixture into a cup. Very slowly drizzle the hot mixture into the beaten egg, whisking constantly. Slowly pour the egg mixture back into the saucepan, whisking constantly. Simmer the mixture for 3-4 minutes until it thickens. Remove from fire. Whisk in the poppy seeds and refrigerate until fully cooled before using. Bring water, sugar, and orange zest to a boil and continue to boil for about 10 minutes, until mixture is syrup–like. Add cranberries and cook for an additional 5 minutes, or until berries pop. Remove from heat. 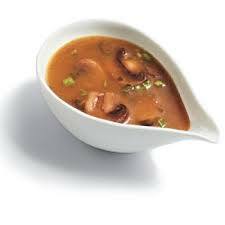 Pour into bowl and refrigerate overnight or until chilled. Peel and dice the apples very finely. Mix in the sugar, flour, lemon juice, cinnamon and nutmeg. Toss until apples are fully coated. Mix the sugar, cinnamon and nuts together. Slowly drizzle in the margarine in, and then toss to mix with the apple butter. You may find it easier to blend in the butter if you microwave it first for about 15 seconds. 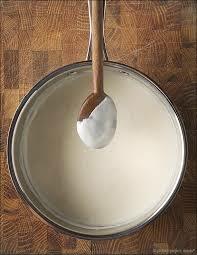 Whisk together the maple syrup, almond milk, salt, and cornstarch in a medium-sized saucepan over medium-low heat. Keep stirring continuously with a whisk until the mixture boils and thickens. Once boiling, turn off the heat and stir-in pecan pieces and vanilla. Allow to fully cool. Combine arrowroot or tapioca, baking powder and baking soda in a medium bowl. In another bowl, combine eggs, lemon juice, lemon zest, honey, palm sugar, and maple syrup. Whisk wet ingredients into dry until dry ingredients are completely dissolved. 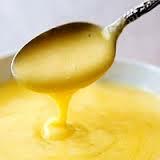 Pour mixture into a medium saucepan on low-medium heat, and whisk continuously for 8-10 minutes until a thick custard forms. Be very careful to continue whisking on a lower flame or the eggs might scramble. Allow to completely cool. The Linzertorte is one of the oldest known tarts with a recipe discovered in an Austrian abbey from 1653. Johann Konrad Vogel (1796-1883) is credited with first mass producing it while Franz Holzlhuber, an Austrian émigré who worked as a baker, is recognized for introducing it to America around 1856. Linzer cookies employ the same recipe as the Linzertorte but instead the dough is cut into cookies and two of them form a sandwich around the preserves. Moreover, the top cookie has a small cutout in its centre (known as Linzer eyes), thus exposing the underlying jam and adding to the visual appeal. While the traditional cutout is circular, all sorts of shapes, such as hearts, are also popular. 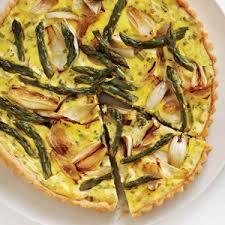 This recipe will make 2 dozen finished tarts/cookies. Beat butter and sugar together until the mixture is light and fluffy. 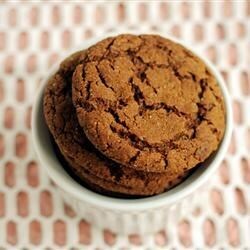 Stir in ½ cup flour, the ground almonds, and cinnamon. Mix in remaining flour ½ cup at a time until the mixture becomes a slightly stiff dough. Shape the dough into a ball; divide it in half. Wrap both halves in wax paper or plastic wrap, and refrigerate for at least one hour, even better if you can leave them overnight. On a lightly floured surface, or even better, on a piece of wax paper, roll half of the dough into a sheet ⅛ inch thick. With a 2 ½ inch cookie cutter, cut as many circles from the sheet as you can. Before separating the shapes from the remaining dough, stick your whole dough sheet (on the wax paper) in the freezer for 5 minutes. This will make separating the cut cookies from the extra dough easier and there is less of a chance that your cookies will break when you lift them. Knead the leftover scraps of dough into a ball and roll it out again into a ⅛ inch sheet. Cut out more circles. You should now have about 24 circles. Arrange cookies on prepared baking sheet, leaving about 1 inch of space between them. Refrigerate while working with remaining dough. Repeat the rolling and cutting process with the other half of the dough, but after placing the second batch on the baking sheet, cut out the centre of each circle with a ½ inch cookie cutter. 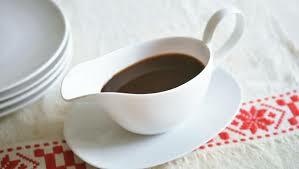 In a small saucepan or microwavable bowl, gently heat up the jam, so that it can be easily spread. 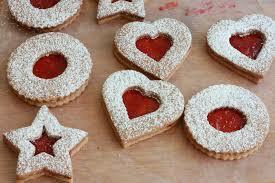 Spread a thin coating of jam on each of the base cookie rounds. Meanwhile, take the top portion of your cookies (the ones with the cut-out sections) and lightly dust the tops of them with confectioners’ sugar. If you coat them now, you don’t have to worry about getting sugar inside your “jam window” later. Set a cut-out cookie on top of each base cookie, pressing the two together so they make a sandwich. Serve and enjoy! These big, soft cookies are extremely addictive! You have been warned! 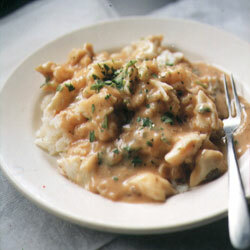 This recipe will make about 2 dozen, though I suggest doubling it due to the aforementioned addictive quality! Preheat the oven to 350 degrees. Sift together the flour, ginger, baking soda, cinnamon, cloves, and salt. Set aside. 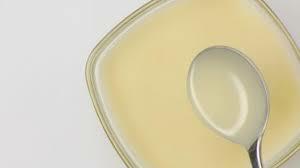 In a large bowl, cream together the margarine and 1 cup sugar until light and fluffy. Beat in the egg, then stir in the water and molasses. 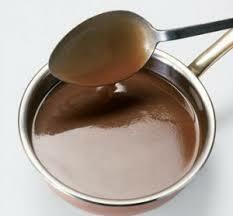 Gradually stir the sifted ingredients into the molasses mixture. Warning, this is a very sticky batter. It is best to let the dough sit for a bit (maybe 30 minutes or so) so that the sticky factor gets toned down some. Alternatively you can stick them in the freezer for about 10 minutes, or use a little bit of oil/oil spray on your hands when rolling them. Shape dough into walnut sized balls, and roll them in the remaining 2 tablespoons of sugar. Place the cookies 2 inches apart onto an un-greased cookie sheet, and flatten. 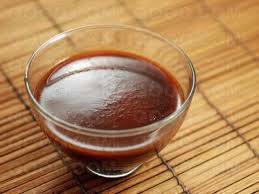 * A quick tip for when measuring molasses (or honey or other sticky ingredient), lightly coat your measuring cup with oil/oil spray first. This will let the molasses slide easily out. This is a basic béchamel sauce recipe that is used for dishes like moussaka or the base for an Alfredo. This recipe will make about 2 cups. In a heavy-bottomed saucepan, bring the milk to a simmer over a medium heat, stirring occasionally and taking care not to let it boil. Meanwhile, in a separate heavy-bottomed saucepan, melt the butter over medium heat until it’s liquefied. Don’t let it turn brown, though — that will affect the flavor. With a wooden spoon, stir the flour into the melted butter a little bit at a time, until it is fully incorporated into the butter, giving you a pale-yellow-coloured paste. This paste is called a roux. Heat the roux for another minute or so to cook off the taste of raw flour. 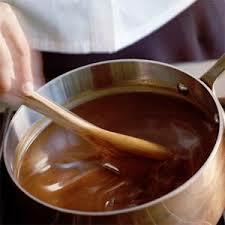 Using a wire whisk, slowly add the hot milk to the roux, whisking vigorously to make sure it’s free of lumps. Now stick the pointy end of the clove into the onion and drop them into the sauce. Simmer for about 20 minutes or until the total volume has reduced by about 20 percent, stirring frequently to make sure the sauce doesn’t scorch at the bottom of the pan. The resulting sauce should be smooth and velvety. If it’s too thick, whisk in a bit more milk until it’s just thick enough to coat the back of a spoon. Remove the sauce from the heat. You can retrieve the clove-stuck onion and discard it now. For an extra smooth consistency, carefully pour the sauce through a wire mesh strainer lined with a piece of cheesecloth. Season the sauce very lightly with salt and white pepper. Be particularly careful with the white pepper — and the nutmeg, if you’re using it. A little bit goes a long way! Keep the béchamel covered until you’re ready to use it. The Mornay Sauce is a classic cheese sauce made by enriching a standard Béchamel sauce with Gruyère and Parmesan cheese. 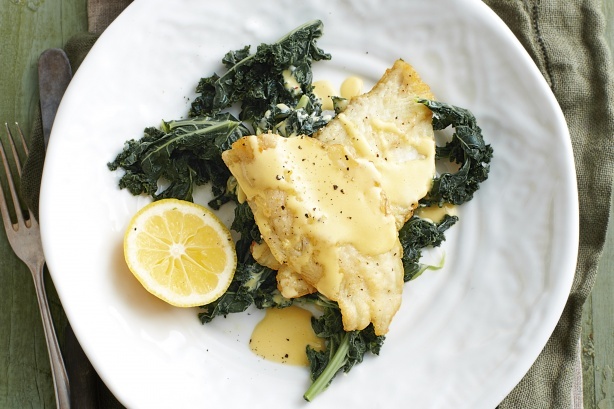 The Mornay Sauce is an ideal accompaniment for eggs, vegetables, pasta or fish. This recipe will make about 2 cups of sauce. In a heavy-bottomed saucepan, heat the Béchamel to a simmer. Add the Gruyère and Parmesan cheeses and stir until the cheese has melted. Remove from heat, stir in the butter and adjust consistency with the hot milk if necessary. Serve right away. The cheddar cheese sauce is a classic cheese sauce for vegetables made by enriching a standard Béchamel sauce with cheddar cheese, mustard and Worcestershire sauce. It’s an ideal accompaniment for vegetables, pasta or fish. Oh, and did I mention nachos? Or macaroni? I mean, honestly, it’s a cheddar cheese sauce. Is there anything you can’t serve it with? This recipe will make about 2 cups of sauce. 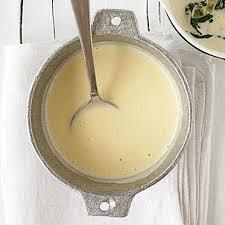 In a heavy-bottomed saucepan, heat the Béchamel to a simmer. Add the cheddar cheese and mustard powder and stir until the cheese has melted. Stir in the Worcestershire sauce. Remove from heat and adjust consistency with the hot milk if necessary. Serve right away. 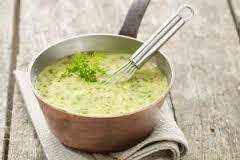 The Soubise Sauce is a classic cream sauce for vegetables made by sautéing onions and then puréeing them before adding to a basic Béchamel sauce. 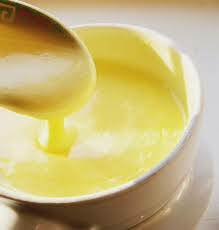 The Soubise Sauce is an excellent accompaniment for vegetables, eggs or chicken. 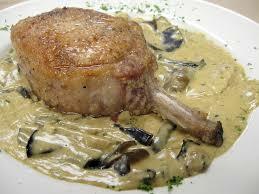 Note: For a simple variation on the classic soubise sauce, add some tomato purée to the sauce just before serving. This recipe will make about 1 quart of sauce. In a heavy-bottomed saucepan, melt the butter and cook the onions until soft and translucent, but don’t let them turn brown. Transfer cooked onions to a food processor. 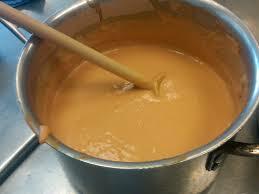 Purée briefly and then return them to the pot. Whisk the Béchamel into the puréed onions and bring the sauce to a simmer. Add optional tomato purée and serve right away.